When it comes to the art of gluten-free baking, let's just say that my skills and expertise are a little lacking. I heavily rely on prepackaged mixes and local bakeries to help me out when I'm craving baked goods and have avoided playing around with different ingredients and prep methods off-recipe. Although I've had them in my dorm pantry since August, my newfound confidence in the kitchen from winter break prompted me to break out my supply of Wholesome Chow baking mixes. I found these, and other mixes in their product line, at Home Goods in Orlando and was intrigued by the prospect of wholesome baked goods that would be (somewhat) nutritious as well as delicious. I don't remember exactly when food became the enemy. It was sometime in the second semester of my freshman year of high school. Just as I was hitting my stride, growing confident in my abilities and interests, and forming friends who understood me more than ever before, my world came crashing down. Because I wouldn't- or couldn't- let them. See, that's the problem with eating disorders. They arrive unannounced and unwelcome, and proceed to torment and warp their victims silently until they are a shell of their former selves. 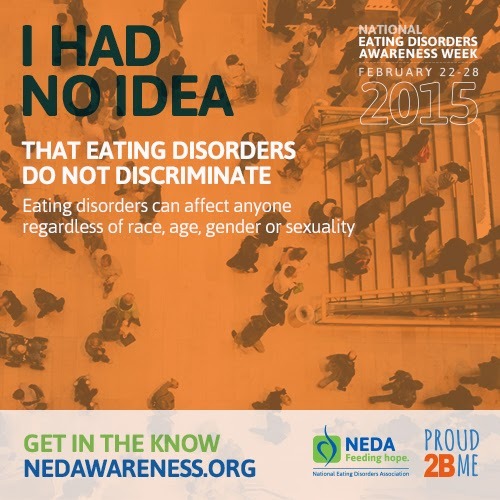 In a break from this blog's typical programming of gluten and dairy free restaurant and product reviews, I wanted to confront my journey with disordered eating, well, my eating disorder, in recognition of National Eating Disorder Awareness Week that runs from February 22nd-28th. This year's theme is "I had no idea," which is supremely applicable to the range of eating disorders and my own unique demon which went diagnosed, untreated, and threatened my health, happiness, and future. When it comes to being gluten-free, there's nothing that I love more than connecting others who share the unique experience of having dietary restrictions. While I have had opportunities here and there to meet up with and make friends with other gluten/dairy free folks and fellow bloggers, I have been waiting for an local opportunity to come along. Sure enough, my wish for a Central Florida based gluten-free event that aligned with my school schedule came true when I received an invitation to join the bloggers' both at Living Without's Gluten-Free Food Allergy Fest (GFFA Fest). This national event is coming to Lakeland- halfway in between Orlando and Tampa- and is shaping up to be a not-to-be-missed affair. With the arrival of Order Up Towson to my home-away-from-home in Maryland, I practically salivated at the possibility of getting delivery from gluten-free restaurants right to my doorstep. Once the platform was live, I was happy to see many restaurants I have eaten out at have partnered with Order Up. As much as I wanted to order from these tried-and-true restaurants, my adventurous side took over and sought out a restaurant I haven't been to before. 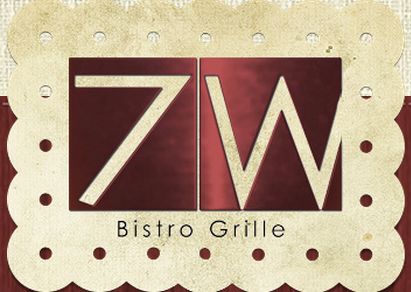 After considering the limited number of restaurants with gluten-free options, my best bet appeared to be 7 West Bistro, a restaurant that showcases the best of Mediterranean and American culinary specialties. In my time spent in Baltimore, I have used buses, light rail, and even depended on my own manpower to discover Baltimore's many gluten-free options. As the chill of winter set in, my ability to get off campus has been limited, leaving me mainly to cook for myself or depend on the dining hall, the latter of which I have been reluctant to do. Luckily, there's a new kid on the block, who's about to make eating gluten and dairy free a whole lot easier and convenient: Order Up. Serving both Baltimore and its northern suburb of Towson, this innovative company's goal is to revolutionize the food delivery experience. Sold at the prospect of gluten-free delivery service, I quickly raised my hand to be an early adopter. Plunging head first into the semester, I have not had a moment to breathe, much less get off campus for fun in the first three weeks. As my workweek wound down leaving me with a wide-open and forcasted to be beautiful weekend, I knew that I'd have to remedy my cabin fever and escape for an hour or two. Fitting the bill for my Saturday adventure was Belvedere Square Market, one of Baltimore's many markets that bring local purveyors together for a hodgepodge of shops, eateries, and fresh-from the farm goods that celebrate and showcase the local community. From the lengthy list of merchants, I quickly identified Ejji Ramen (pronounced "edgy") as my main attraction because they had an expansive menu with marked gluten-free, dairy-free, and vegan options. Excited and hungry, I set off for the noodle shop with the highest of hopes. In my journey into paleo-friendly baking, I've become comfortable with simple almond-flour based recipes with few ingredients. While these have been easy enough, my plunge into a super busy second semester had me dreaming of a paleo-friendly mix to streamline my frequent baking for breakfast and between-class snacks. 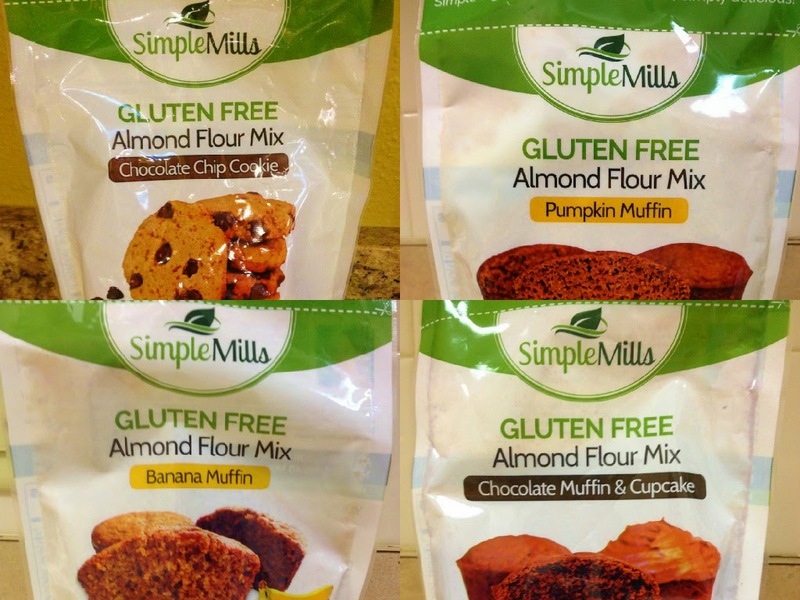 Enter Simple Mills, a company passionate about clean, healthy baking that also happens to be allergen-friendly and as tasty as they are good for you. Featuring easy-to-pronounce ingredients and requiring little additional ingredients, these mixes result in a week's worth of treats in close to a half hour from start to finish. January proved to be a simply delightful month as I found myself back in Orlando for most of it. Able to kick back and relax after a stressful semester, I loved having more time and energy to devote to cooking, researching restaurants, and blogging. Just as I got into the swing of things, my siesta in the sunshine state came to an end as I headed back up to Maryland to embark on my second semester. Easing back into the semester, I've made sure to stock up my dorm with enough treats and eats on hand to allow me to minimize the trips to the dining hall. After all, I don't really want to brave the winter weather to get a meal I could just as easily cook in my dorm (which my version probably tastes better anyway). This blog highlights a few gluten and dairy free products that caught my eye this month.